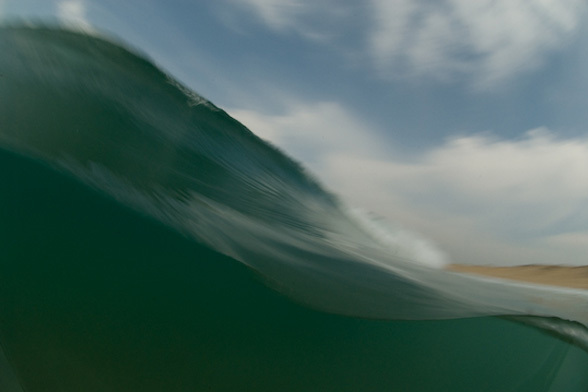 Sylvain Cazenave is a French pioneer of surf and waves photography. After spending the first years of his life in Africa, Sylvain moved back with his family to the west coast of France, in Biarritz, the surf mecca. As a teen he soon became a member of the French Surf Team. This photograph was taken from the water, showing Capbreton beach in the background, which is located in the south west of France.